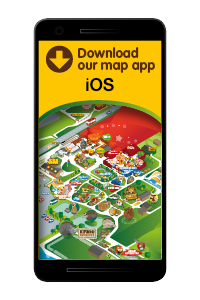 We can officially confirm sloths do not explode when you turn them the right way up. This Morning’s Holly Willoughby has had Phil Schofield doubled over in fits of laughter…again! 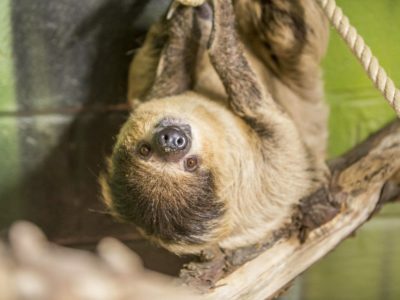 Following a video feature of Folly Farm’s very own Tuppee and Lightcap – the senior two-toed sloths who’ve taken up residence in our sloth retirement home – the cameras returned to Holly and Phil on the This Morning sofa in hysterics. When Phil finally stopped laughing, Holly began explaining she’d said she’d heard that if you turn a sloth the right way up (they spend the majority of their life “hanging” from tree branches on their backs) it will explode. Yes, she actually said that. We love you Holly but we’re sorry, it’s just not true! Luckily, plenty of zookeepers from zoos across the UK were quick to respond to this outrageous claim about exploding sloths, including our Zoo Curator, Tim Morphew. Phil tried to keep a straight face as he confirmed This Morning had received a phone call from Folly Farm in Pembrokeshire to confirm they’ve certainly not had, or heard of, any cases of exploding sloths. Watch Tim putting Holly right on her sloth facts. Question: Do sloths fart? Holly also claimed that sloths don’t fart. So, is she right on this at least? Answer: According to “Does it Fart? A Definitive Field Guide to Animal Flatulence”, co-authored by Dani Rabaiotti, a PhD zoology student at the Zoological Society of London, sloths do not fart. This is due to their incredibly slow digestion – and slow lifestyle in general – that instead of putting the effort required into a fart they simply re-absorb the gases in their intestines into their bloodstream! 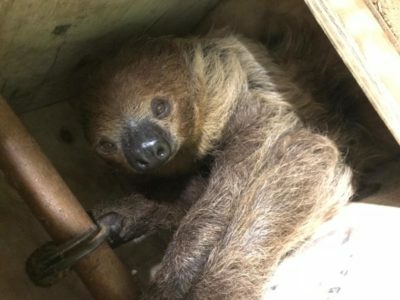 Although Dani does suggest a build up in gases over a long time could cause them to become sick or even burst – so perhaps there was some truth in Holly’s bizarre claim about exploding sloths! Question: I’ve heard sloths only poo once a week, is this true? Answer: Now this is indeed true. Sloths only poo once a week, sometimes they can go even longer inbetween poos! It’s all linked to their slow digestion and the effort it takes them to climb down from their tree to go to the toilet on the forest floor. Answer: Yes they can swim. Sloths are surprising good swimmers. And they do the front crawl. But they still don’t explode Holly! 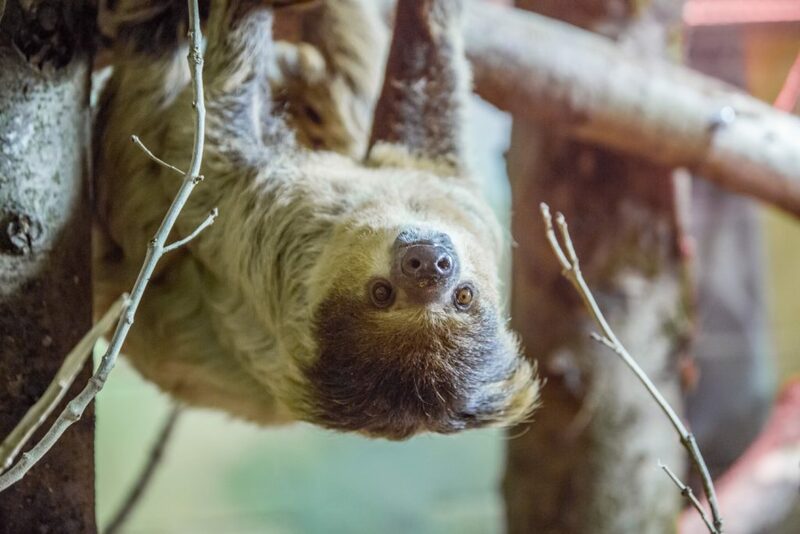 Pictured: Tuppee, one of our senior sloths at 24 years of age, spends most of his time in our sloth retirement home hanging upside down…but we have seen him the right way up and he definitely does not explode.